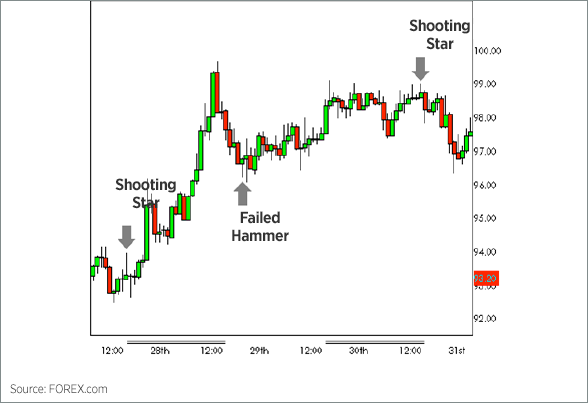 Depending on the previous trend, a hammer may be referred to as a hanging man or shooting start, but the same concept applies. 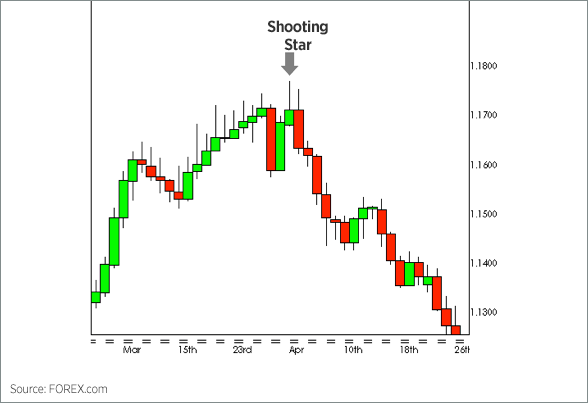 Bullish or bearish bias depends on previous price swing, or trend. 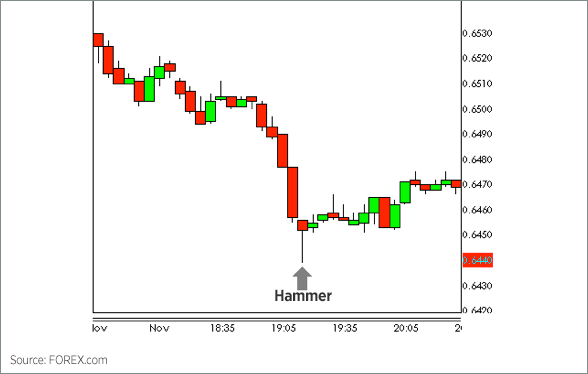 A hammer after an uptrend is called a hanging man. 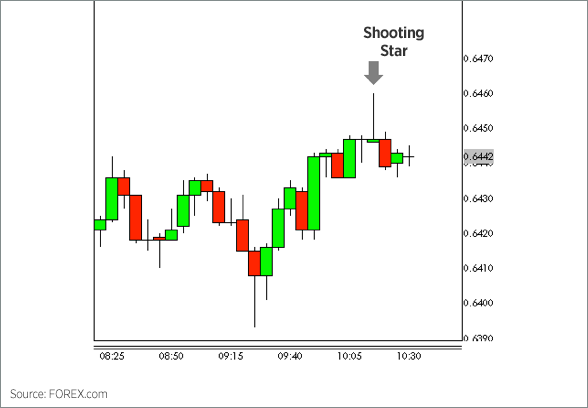 An inverted hammer after an uptrend is called a shooting star. 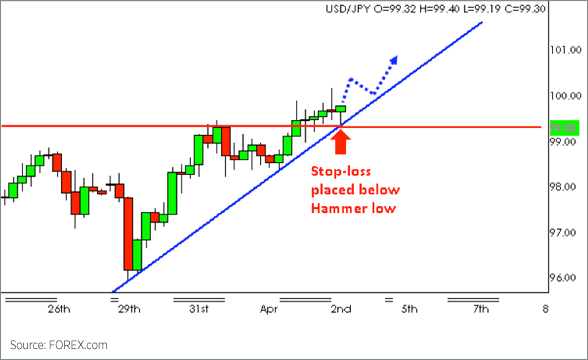 In the following 4 hour chart of USD/JPY, a hammer formed near an ascending trendline that represents a support level, suggesting of a possible continuation. 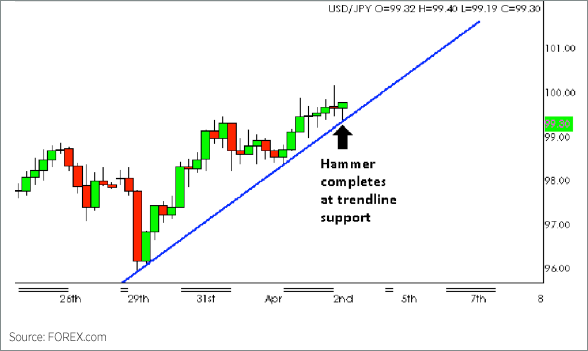 Given that the hammer did not break the trendline, we receive our confirmation to enter the trade. 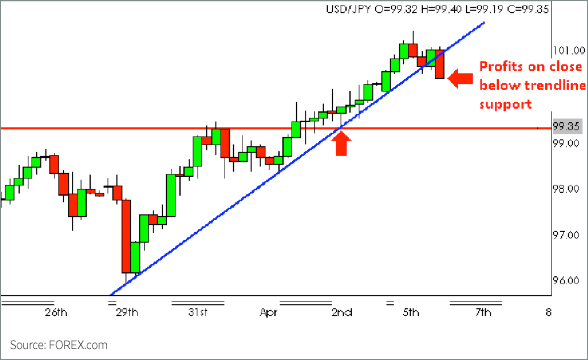 We buy USD/JPY at 99.60, while placing our stop-loss slightly below the ascending trendline at 99.30. The pair rallies in line with our desired direction, advancing over 90 pips before breaking the trendline. We exit our position upon the close below ascending trendline, allowing us to attain a healthy 3:1 reward to risk ratio.